This is especially true of a sound system’s loudspeakers. They are the last link in the chain, directly responsible for communicating everything that’s been done to the signal along the way. And one thing’s for sure: if a system sounds lousy, the listening audience will automatically shift their gaze first upon the loudspeakers, viewing them as the primary culprit whether they are at fault or not. Indeed, loudspeakers are one of the most important aspects of a sound system. Going beyond the simple term of “output,” or distributing sound into the room, they actually become a living physical element, dynamically interacting with their surroundings. In other words, what you’re usually hearing from a loudspeaker is more than its output, you’re also hearing what’s happening to that output as it travels through the space. A wide range of quality professional loudspeakers are available, produced by an equally wide range of manufacturers, for house of worship sound systems. Selecting the “right” loudspeakers for a given system and room is no simple matter, and there can be more than one “right” answer. 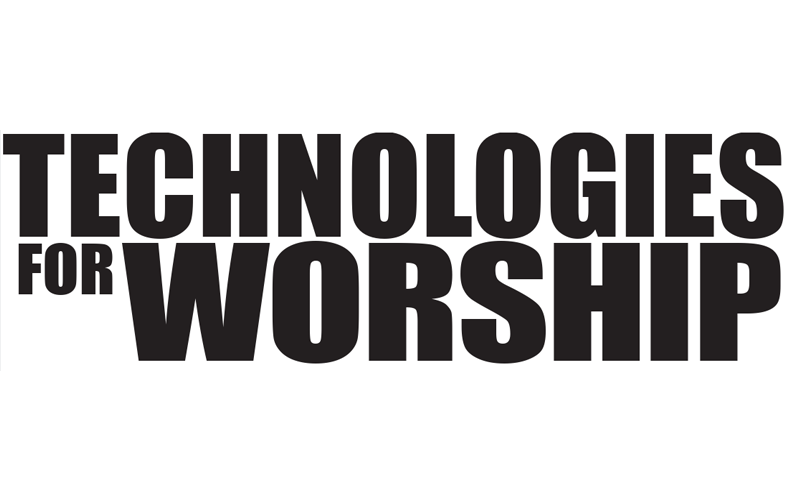 The type of programming featured in worship services is one issue; the acoustical nature of the space is another. Budgetary issues are almost always an important factor influencing loudspeaker selection. Aesthetics are another concern. The only certainty is that every project is different and needs to be treated as such. 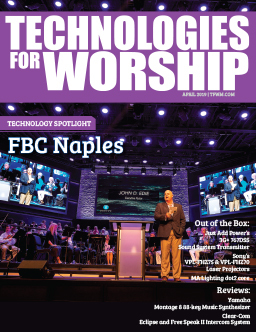 This column’s purpose, the first in a regular series for Technologies For Worship, is to provide a primer on the subject of loudspeaker technology and design. Knowing what loudspeakers are designed to do, what they are intended to do, along with understanding some of the jargon that we inevitably throw around when talking about them, can go a long way in helping to make informed choices. 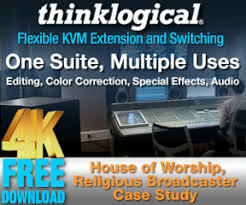 Most church sound systems should utilize full-range loudspeakers, which are intended to adequately reproduce the entire audible frequency spectrum, ideal for spoken word as well as optimum musical performance. You’ll hear the term “20-20K” bandied about by sound designers/installers regarding the full-range issue. What they mean is that the loudspeaker provides output ranging from the lowest end of the frequency spectrum – 20Hz – to the highest end of the audible spectrum – 20kHz. Note that most humans can’t detect sound at frequencies above about 18kHz, so the remainder, up to 20kHz and sometimes above, is usually enjoyed only by animals with hearing better than our own – like dogs! Therefore, a loudspeaker proclaiming frequency response up to 27kHz is likely no better (or more useful) than one listed at 20kHz, or even 18kHz, for that matter. At the low-end of the frequency spectrum, while many full-range loudspeakers are listed with response down to 20Hz, the reality is that they often can’t truly provide useful low-frequency energy much below 60Hz. This is where subwoofers come into play within a system, to deliver deep, chest-thumping bass. Full-range loudspeakers come in two primary types: two-way and three-way. What’s a “way”? It refers to the method used by loudspeaker designers to maximize performance by dividing the frequency spectrum into sections. In a two-way loudspeaker, low and high frequencies are split into sections, with the cabinet housing a large (8-inch to 15-inch) cone driver for lows and a compression driver loaded on a horn for highs. A three-way design offers an additional cone driver (generally 8-inch or 10-inch), often mounted on a horn, that is dedicated to the critical mid frequency section, where the vocal signal is reproduced (Approximately 300Hz to 3kHz.). As a result, two-way loudspeakers are generally more compact, weigh less and cost less, while the additional section of three-way loudspeakers usually offers better vocal quality and intelligibility, and in general, greater overall output. They’re usually louder, in addition to larger, heavier and more expensive. The extra section often requires additional power amplification, an issue that relates both to system complexity and price. One of the primary keys to a loudspeaker’s performance, whether it be two-way or three-way, is the crossover. This divides and routes the signal to the appropriate components – low, high as well as mid in three-way designs. How the signal is divided, or perhaps more accurately, where in the spectrum the signal is divided by the crossover directly affects overall sound quality. In a three-way loudspeaker, the crossover settings, or crossover “points,” as they’re called, should be above and below the vocal range, leaving it completely unobstructed. In a two-way loudspeaker, much care has to be taken so that the crossover point between the two sections are seamlessly merged, so there is no audible way to discern where one component picks up and the other leaves off. This is especially critical because the crossover point must reside somewhere in the vocal range; if the two sections aren’t merged properly, intelligibility suffers. The most common type of crossover is termed passive. Generally housed within the cabinet, passive crossovers are specifically designed and optimized for a particular loudspeaker, working with the amplified signal coming directly from the power amps. Active crossovers, on the other hand, are inserted into the system ahead of the power amplifiers. They allow custom crossover points to be established. But because the signal division is occurring ahead of the amplification stage, use of an active crossover usually requires the addition of extra amplifier channels to power the loudspeaker. Thus, a two-way loudspeaker with active crossover is termed “biamplified” (two amp channels), while a three-way with active crossover is “triamplified” (three amp channels).